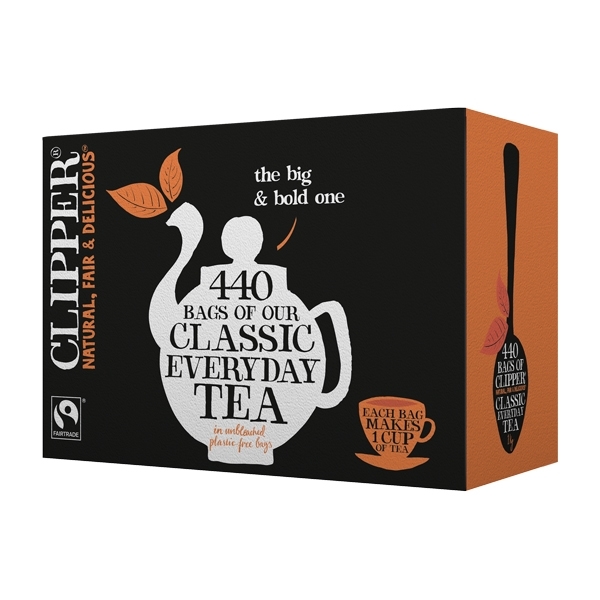 These best selling one cup Clipper Fairtrade teabags are foil wrapped for freshness in a catering pack size. "Our Everyday Teas set the benchmark for our range. Not all teas taste the same and we believe our everyday teas are the best mainstream teas you can buy. I find other teas disappointing in comparison.